Guest and Gray, P.C. has successfully helped countless personal injury and wrongful death victims and their families recover under their uninsured/underinsured motorist policies in the greater Dallas-Fort Worth areas, including Forney, Dallas, and Rockwall counties. Making an uninsured motorist claim is much like making claims against the at-fault party’s insurance, except that this is typically your own “excess” policy to help take care of medical bills and lost wages when you have already maxed out the at-fault party’s liability policy. Guest and Gray, P.C. is committed to helping dog attack victims recover top dollar for their injuries. Dogs are often thought of as “man’s best friend”, but that is not always the case. This is especially true in Texas where we lead the nation in Dog Bite Fatalities. 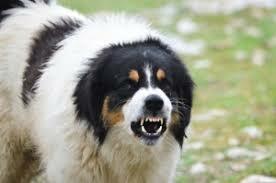 Dog’s can attack without warning and for no apparent reason. Guest and Gray, P.C. has represented numerous dog bite victims in the Dallas, Forney, and Rockwall county areas and recovered top dollar for their injuries. In order to recover damages after a dog attack, the injured victim must show that the owner, aware of the dog’s aggressive tendencies, failed to use reasonable care to prevent the dog from harming someone. For instance, if the owner of a known aggressive dog regularly lets the dog out in the street or neighborhood, and that dog attacks someone, the homeowner will likely be liable under a negligence theory of recovery in Texas. Rockwall is known for a lot of things. Everyone knows that Rockwall is usually acclaimed to be the Wealthiest County in Texas. Although there are short periods, often during oil booms, that Rockwall is unseated from that throne, Rockwall is always near the top. Why? Because it is close to Dallas and other major business hubs, and it is located in a beautiful area overlooking Lake Ray Hubbard. People like that. 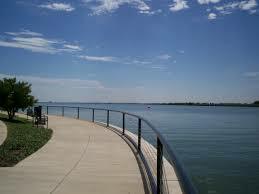 Rockwall is also known for Lake Ray Hubbard. A great lake for catching bass and perch. Occasionally, you will hear of reports of an Alligator swimming around. We live in North East Texas. It happens. The lake has drawn a lot of people and retail shopping to the Rockwall area. Theoretically, it is easy to get to Rockwall with access from I-30, the tollway, Highway 67, Highway 205, you name it. The problem is the third main thing that Rockwall is known for: Traffic. Injured In An Accident and It Wasn’t Your Fault? 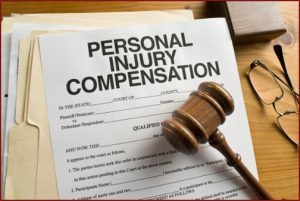 Have you recently been injured in an accident and it was not your fault? 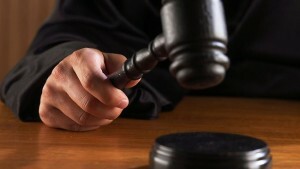 Then you need to contact the law firm of Guest and Gray today. We handle cases just like yours every single day. 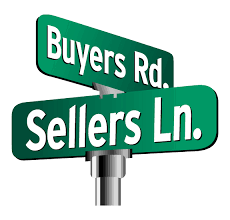 From car accidents, to 18-wheeler wrecks, premises liability and beyond. When you are injured as a result of somebody else’s negligence, Guest and Gray is there for you. We fight hard for the rights of the injured. Negligence can occur in the most innocent seeming moments. The most common is while driving a car. For most people in the Dallas-Fort Worth area, we become very accustomed to driving longer distances to get where we need to go, whether it be to work or to even the grocery store. The problem is that people can become so used to driving in those areas that they lower their guard and drive more dangerously. Messing with the radio, talking with others in the car and texting and driving are common factors in these types of accidents. People get bored driving so they distract themselves. In doing so, they make it more dangerous for others on the road because they are paying less attention to the 2-ton projectile they are driving at high speeds down the road. Driving is something that we do every day. Unfortunately, as a result, North Texas experiences catastrophic and fatal accidents on a daily basis. As a Kaufman, Rockwall and Dallas county personal injury lawyer, I know that traffic accidents happen for many different reasons. It could be inattention, unsafe driving, texting, messing with the radio and everything in between- including weather, such as rain and snow. Anyone who has driven in Dallas on a rainy or snowy day knows that people lose all ability to properly maintain their vehicles. It’s like they’ve suddenly forgot how to drive and any manual they have is written in Greek. It is totally bizarre. The other day I literally saw someone drive into a middle barrier on the highway, for what appeared to be, no good reason at all. The person got out “okay” and no one was hurt. The person just seemed a little confused and blamed it on the wet road.